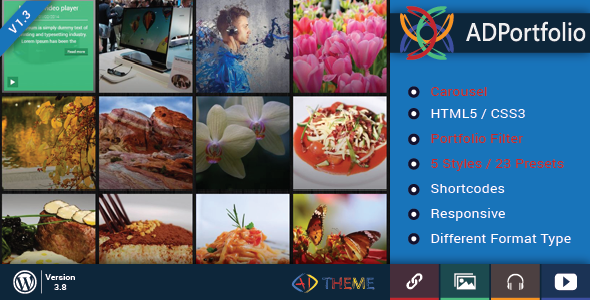 AD Portfolio is an WordPress Responsive filter Portfolio and Carousel Plugin. You can create a responsive filter portfolio gallery and carousel with one click. AD Portfolio includes 5 styles and 23 presets of portfolio.